Sustainable design is a term we are hearing quite often these days and it encompasses many aspects: from the raw material extraction to the material processing, assembly and use. There are many ideas to furnish “green,” to follow the tendencies of interior design and to make the home contemporary and eco-friendly. 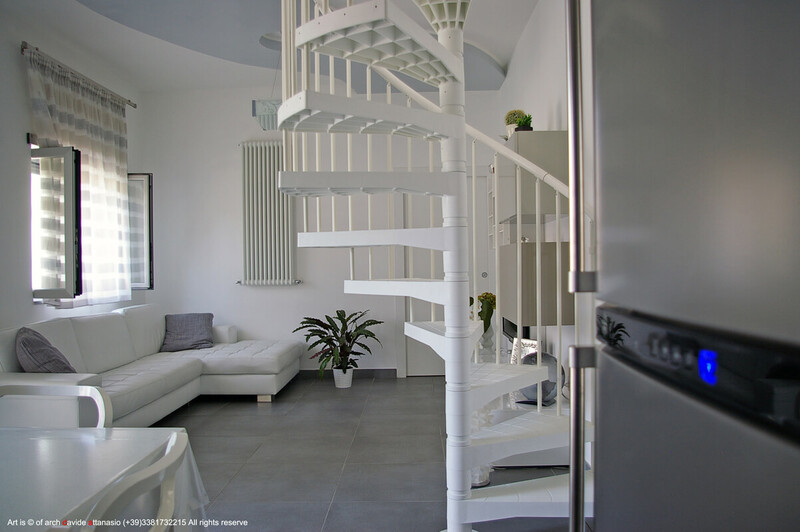 Even the companies are gearing themselves towards habits that protect the environment: Fontanot is the Italian staircase designer that was born green and is prospering green. Their most stunning eco-friendly piece for the home: Techne. The staircase is a home staple and Fontanot introduces the world to its innovative masterpiece that’s easy on the eye as well as the environment. 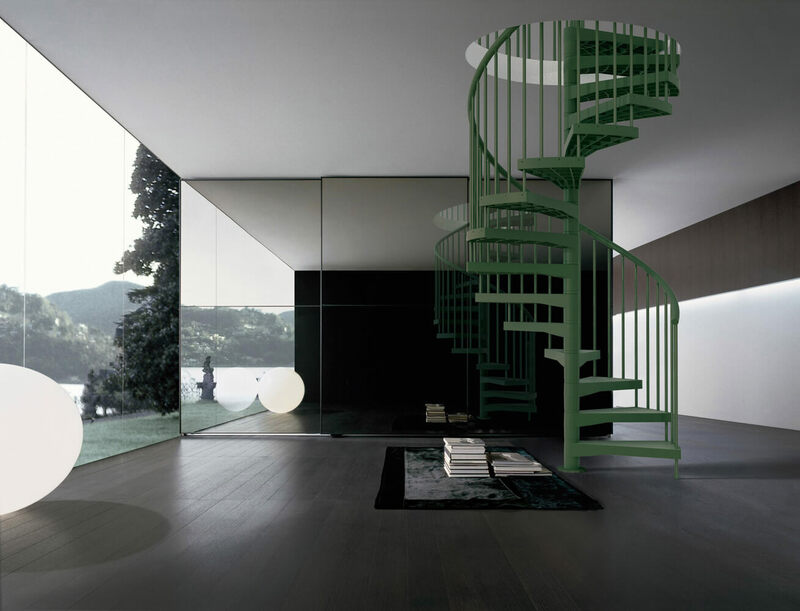 The Techne staircase is the product of extensive research and innovation, and is what the Fontanot team, dedicated to avant-garde design, calls a mix between aesthetics and functionality. The most unique aspect of Techne is its material: technopolymer. Techne is the first staircase in the world to be built using this plastic-like material that is 100% recyclable. Reinforced with fibreglass, it has an exceptional mechanical and shockproof resistance with a high tenacity, giving a green-minded interior designer everything they want in sustainable design: durability, low impact and stylishness. Not just a fixture inside the home, Techne is especially made for the outdoors as well. 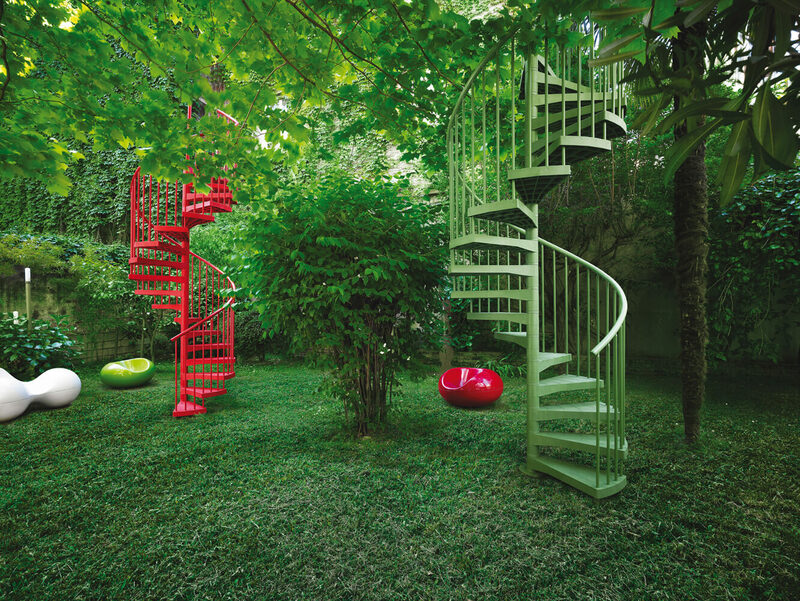 In addition to the sustainable materials used to create the staircase, particular attention was paid to coloring techniques for the stairs that come in a choice of white, red or green (could it be a coincidence they are the colors of the Italian flag?) 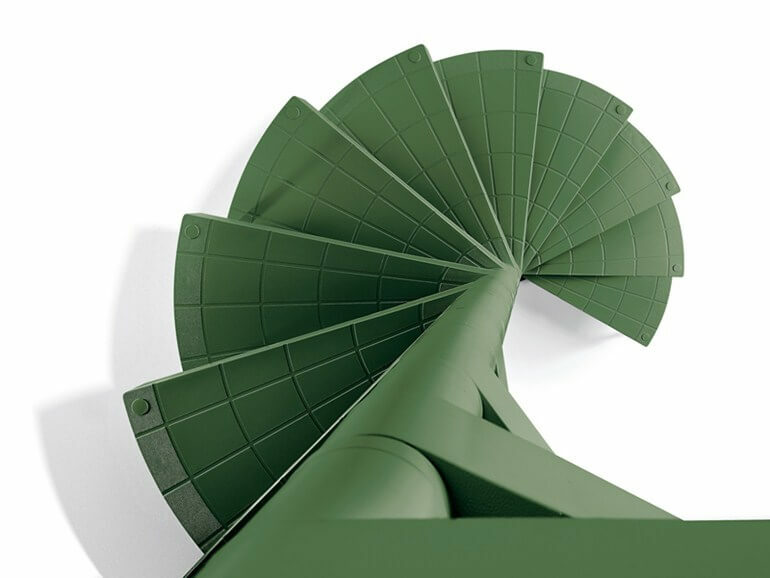 By using an advanced coloring in the mixture process, the sustainable staircase is resistant to UV rays and atmospheric factors, perfect for weathering the cold, harsh winters, piping hot summers and everything rainy, snowy and dreary in between. Use wood certified by the FSC, which stands for the Forest Stewardship Council. They set standards to ensure responsible management of the world’s forests. Having this label, you can be sure that the wood products come only from responsible sources. Use water-based paints. They are becoming much more popular in sustainable design because they don’t need to be cleaned with harsh chemicals and solvents, reducing the emission of volatile organic compounds. Use bamboo. Yes, bamboo is the best-kept secret in eco-design. It grows quickly and naturally without the use of pesticides and fertilizers. At the same time, the growth of Bamboo improves the quality of the soil, a good option all around.